Three key ingredients make our famous Monument Fresh taste. Pure, clean milk. 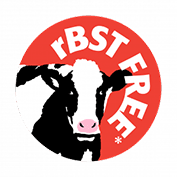 Our raw milk achieves a natural bacteria count lower than what other brands achieve after processing. Speed from cow to cooler. Our processing and distribution plant is a quarter mile from our farm. We can pick up our milk, package it, and get it out to the stores in as little as 1-3 days. Comparatively, larger brands have up to a 4-5 day turnaround. Cow nutrition & comfort. 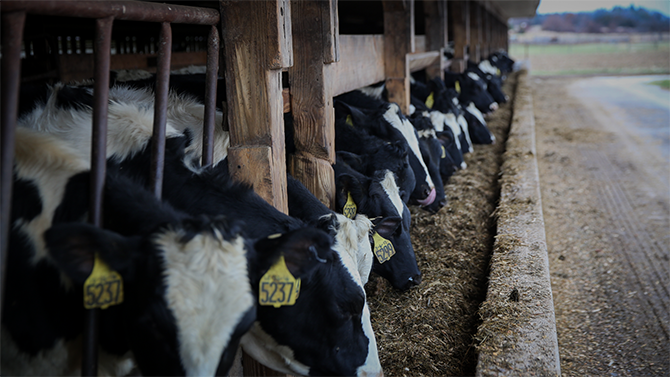 Optimal nutrition for a dairy cow can be equated to a top athlete. 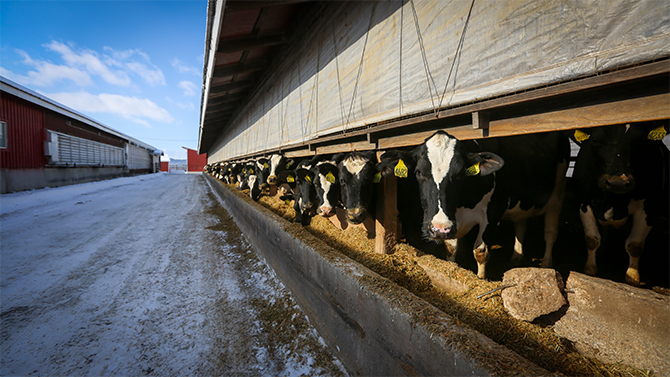 Our cows enjoy a top quality feed program that is nutrient optimized on a regular basis, along with state-of-the-art cow comfort practices. 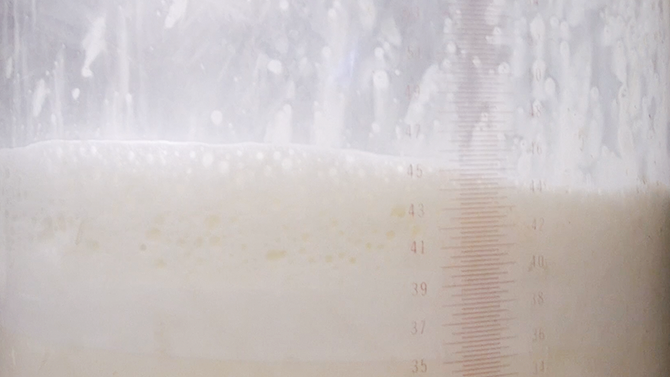 All of this is what ensures our milk has a fresh, consistent flavor. Just another reason our Monument Fresh taste is so famous. 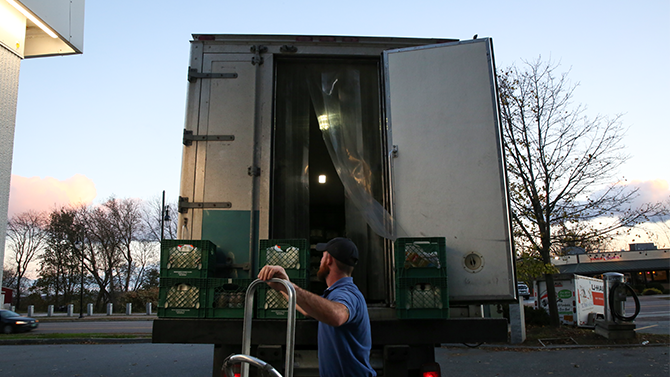 Raw milk is delivered to the processing facility. A centrifuge separates the fat (aka: cream) from the milk. A batch tank is filled with skim milk, another is filled with whole milk. The excess cream goes into a third tank. A computer controlled mixing valve uses flow rates at different ratios to blend the skim and whole milk to create 1% and 2%. Whole milk and cream are blended to create half & half. 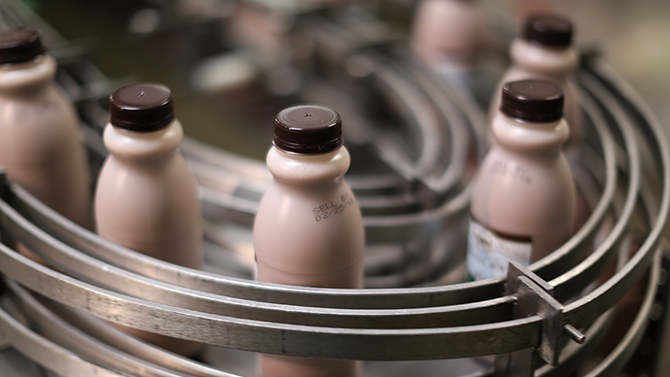 Flavored milk – chocolate and coffee – are sent to a mixing tank where sugar and flavor are added. The milk is then run through a homogenizer to keep the milk from separating and a pasteurizer to kill bacteria. Our Monument Fresh products are then sent to the bottling line to be put in containers. Our customers have increased sales by switching from other brands to Monument Fresh milk, and their customers can’t get enough! Ask them yourself, they’re happy and willing references. We’re also proud to own our own trucks for faster more reliable distribution. *Order minimums apply for full-service distribution. Ask your Monument Representative for more information.